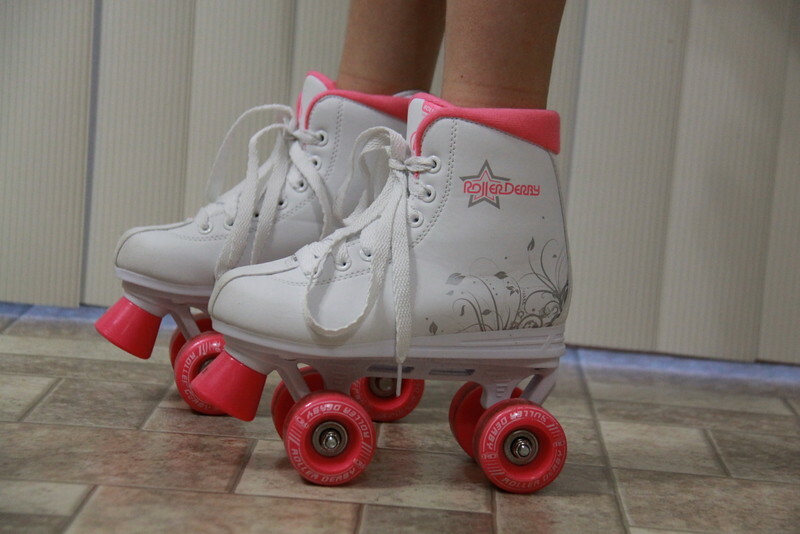 Checking out Roller Derby Roller Skates that Ashlyn wanted so badly for Christmas. We went with a lower price point since we weren’t sure how much she’d really use them. So far, she’s barely taken them off her feet. This post may contain affiliate links where I may make a very small profit at no additional cost to you. There was a few remarks in other reviews about the wheels not moving or rolling well. We have not encountered that. Everything rolls, spins, turns and moves just as it should. She says they are comfortable. There is a cushy part at the top so your leg doesn’t rub and it does not. She wears a size 1.5 tennis shoe, these are a size 2 and they fit great. The only thing she wishes were different was that they’d have a velcro strap instead of tie. 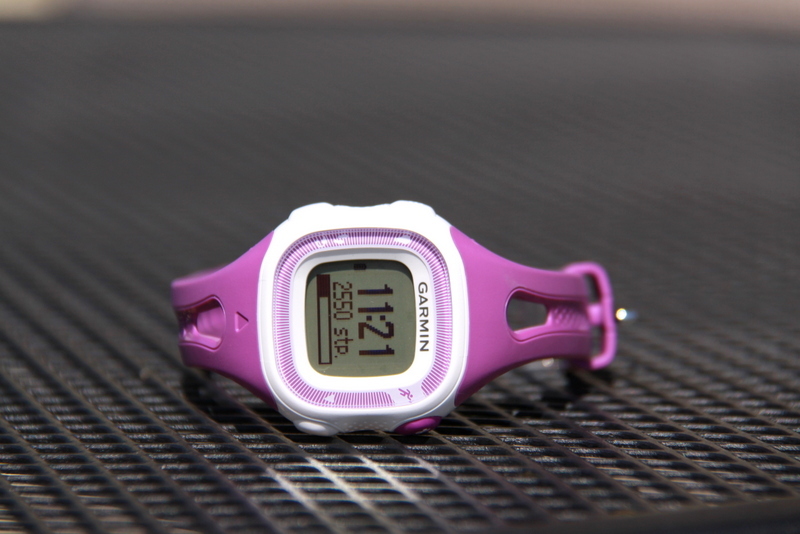 Just to be quicker and easier, and not to have laces get tangled if they would come untied. Overall, she loves everything about them. Freestyle comfort fit boot with padded lining, reinforced heel support and lace closure. High top boot for extra stability. They work well inside (inside the house, have not been to a rink), the garage and road. Although little rocks may toss you off kilter a little but not bad. 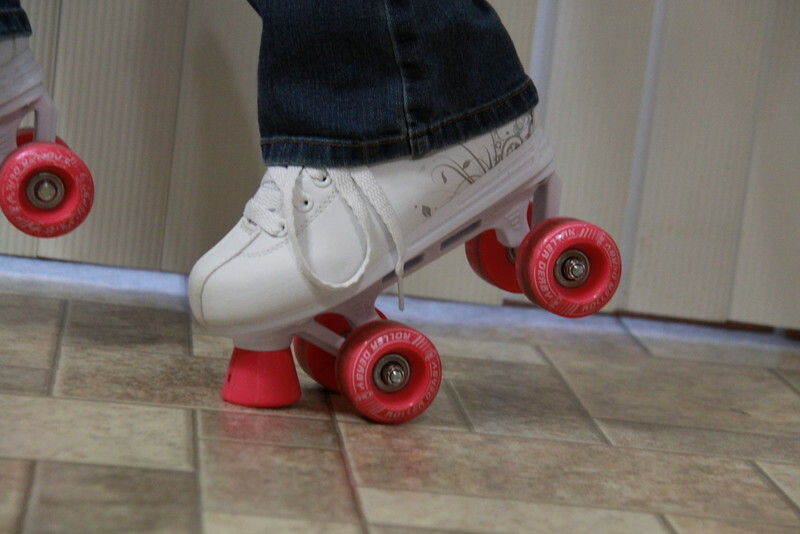 After she outgrows these, we may see about an upgrade to the kind that switch from quad wheels like this for inside, to the roller blades for outside. 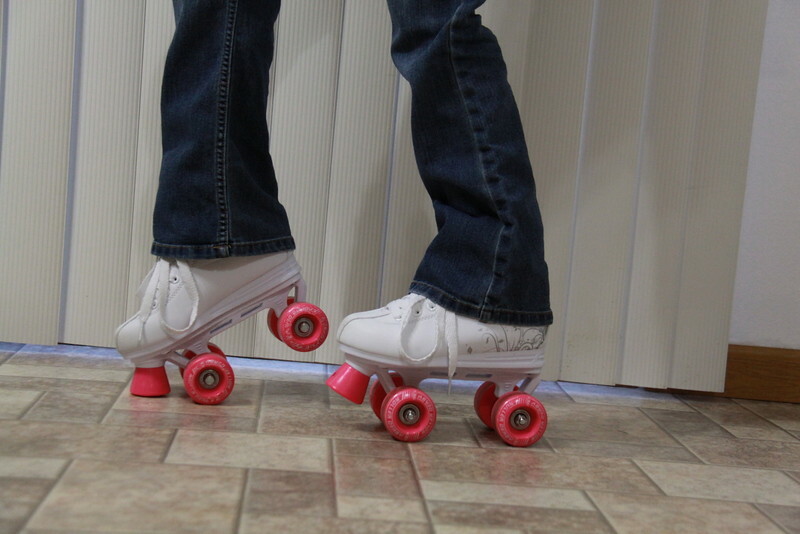 I might even get a pair of roller blades too ! 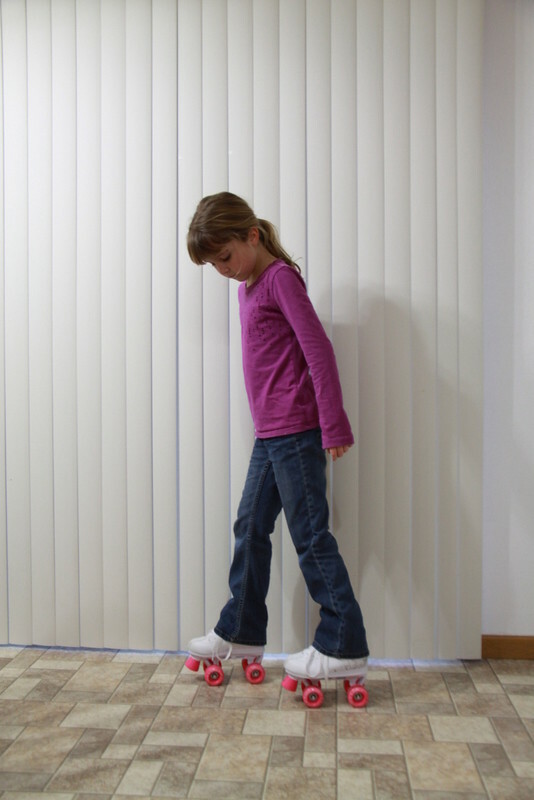 Overall they are an excellent inexpensive beginner roller skate.